For over 25 years, Camerons Products has been all about good cooking, and is pleased to introduce new products that showcase this lifestyle of easy-living. 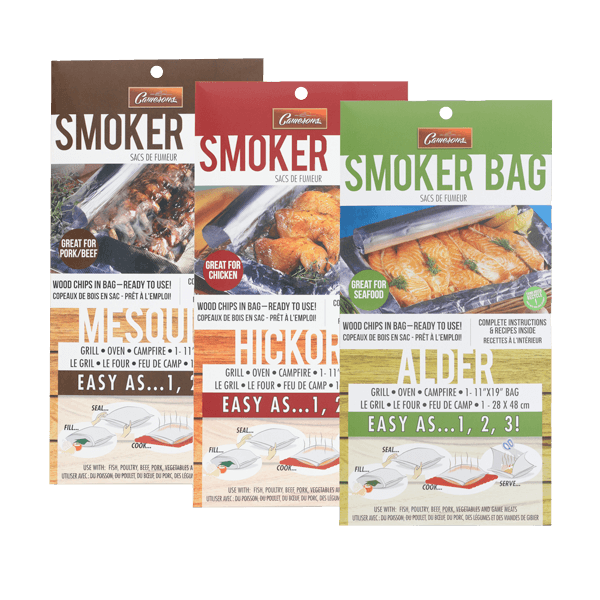 Smoking made easy in a tri-level aluminum foil bag with hickory, mesquite, or alder flavored wood chips to give the perfect flavor every time in the oven, on the gas or charcoal grill, a hot plate, campfire or on Camerons Grills. Recyclable with no clean up. Comes with full instructions and recipes.